Restaurant Monterosso al Mare Hotel Marina. 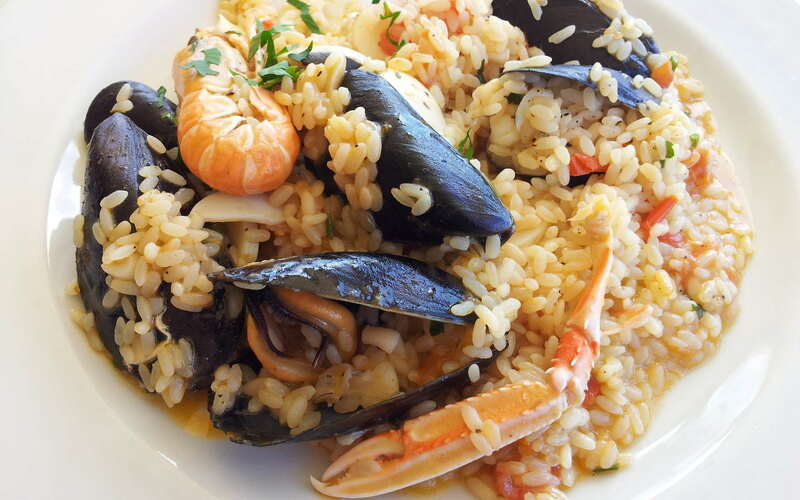 Try the Italian Cuisine and visit the Cinque Terre Restaurant of the Marina Hotel in Monterosso al Mare. Our family’s establishment, which has been growing and improving for 50 years, has always been proud of its traditional Italian cuisine. Since traditional cuisine is so important to us we offer cooking courses to those who are interested. We grow the basic ingredients for some traditional recipes to grant our guests the genuine flavors, aromas, and smells that are lost in large scale retail trade. Lemons, basil,olive oil, wine, fruits, vegetables, and traditional aromatic herbs enrich our menu with their authentic taste. We offer a Refreshment every day from 2 pm to 4 pm. You can enjoy a nice plate of pasta with typical Italian sauces, or a fresh salad: all the ingredients are prepared everyday to ensure the top of the quality you can find in Monterosso. Your meal will be paired with our nice wine from only 5 terre grapes. For your dinner you’ll find a map on the reception with all restaurants in Monterosso. Our restaurant is open for Lunch and dinner 12 – 4 pm. and 6:30 – 10 pm. It’s closed on Thursdays. Only small groups for dinner (12 people) Eraldo organizes special evenings where you can eat and discover the secrets of the kitchen! Lemons'garden, your last minute hotel romantic. Every morning Eraldo do for you wonderful waffles (with Nutella, honey, chocolate or jam), the excellent pancakes sweet (Nutella, chocolate and cream) and savory (with tomato, mozzarella, mushrooms, artichokes, vegetables) and unsurpassed omelette. … And then croissants, jams, yogurt, cereals, fresh and canned fruits and breads for a real breakfast like a king!